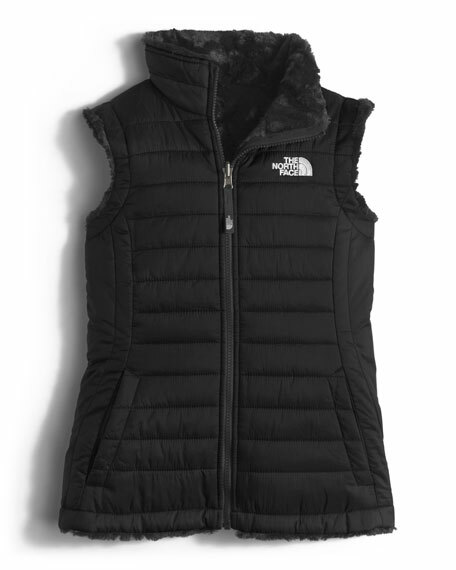 The North Face "Motivation" top in FlashDry® performance fabric. 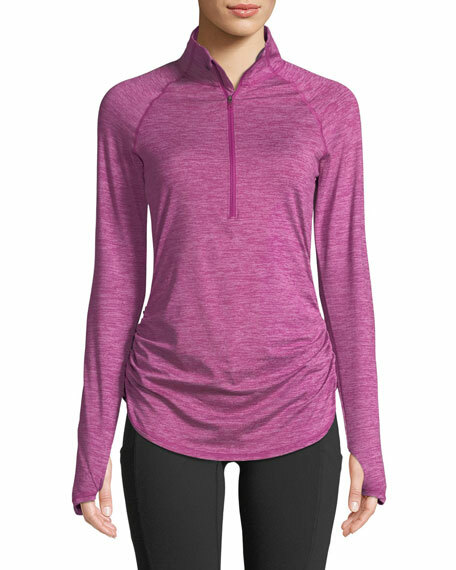 Long raglan sleeves; thumb loops. For in-store inquiries, use sku #2537518. OYE Swimwear "Lucette" solid microfiber bikini top. Off-the-shoulder neckline. Banded front. 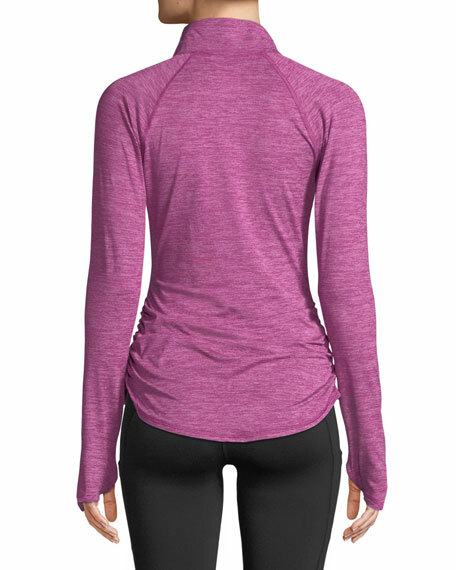 Cutout back; pullover style. Nylon/spandex. Imported. Model's measurements: Height 5'8"/173cm, bust 32"/81cm, waist 24"/61cm, hips 34"/86cm, dress size US 2. 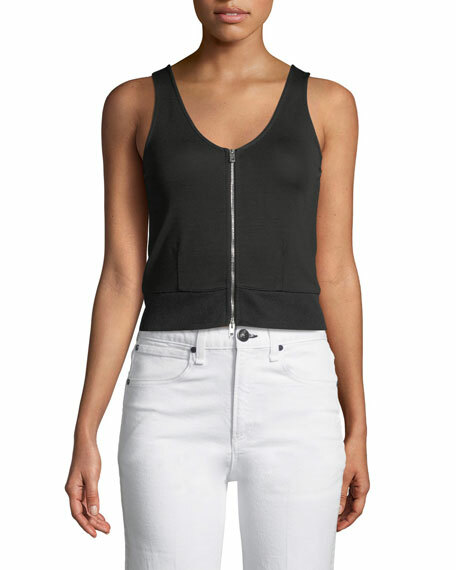 Rag & Bone "Mara" tank. 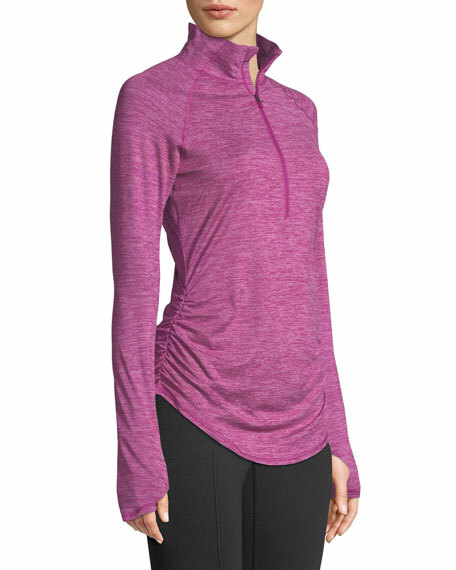 Scoop neckline; zip front. Sleeveless. Slim silhouette. Slightly cropped. Rayon/nylon/spandex. Rib, polyester/spandex. Imported.